Active Farmers provides group fitness services to country towns throughout regional Australia. The classes are suitable for all levels of fitness and experience and have a fun and non-threatening environment. Active Farmers started due to the concern about the level of depression throughout regional Australia. The statistics are very alarming, therefore Ginny Stevens wanted to a create a program that was 'proactive' for mental health. 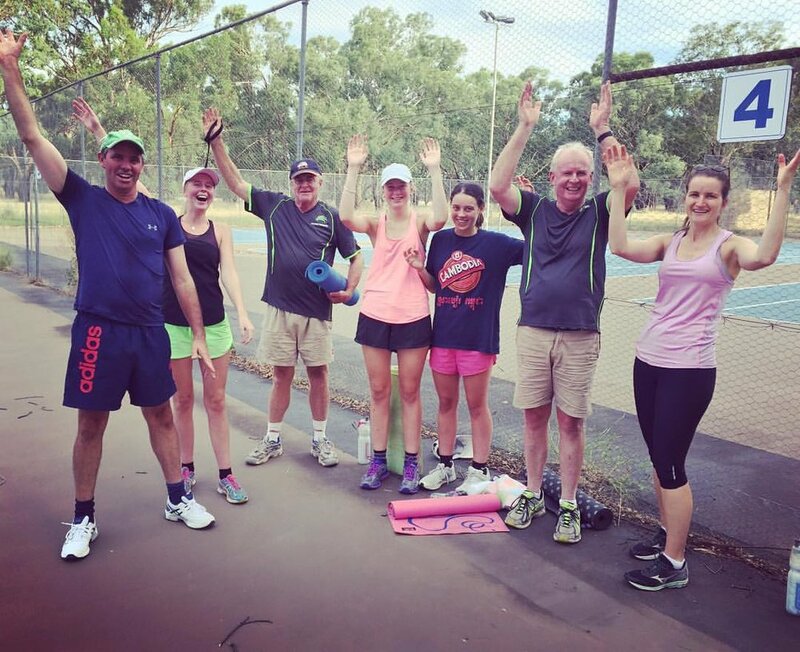 There is a strong connection between being well connected within your community, being physically fit and being mentally strong and this is our philosophy at Active Farmers. We believe that the more people throughout regional Australia who understand this concept the greater chance we have of improving the mental health of our farmers and community members. How can you become an Active Farmer? Active Farmers is expanding every day. Click the towns to find out which towns have the Active Farmers service. If your town has Active Farmers all you need to do is contact your local Active Farmer personal trainer and ask about your timetable and venue etc. It is extremely easy to get involved and the most important thing to know is that you will be supported and welcomed with open arms! Every town has their own timetable, click the towns tab to see the individual timetables. All you need to bring is some water, a yoga mat (only of you have one), some inner gloves for boxing and an open mind! Of course - the more the merrier! We always encourage participants to come with friend or family to help provide each other encouragement to attend. No experience at all! Your local Active Farmer trainer is a qualified professional and will be able to provide you with explanations about all the exercises as well as modifications for you to ease your way into the program. The programs are designed around time, therefore this means you can go at your own pace without feeling like you are slowing everyone down. On the other hand if you are really experienced you can also train as hard as you like. What if Active Farmers isn't in my town? You can either head along to the nearest town, or click here to find out how Active Farmers can be set up in your town. Yes! Click here to view our range of merchandise.